Juan Williams gave his Richmond Braves a lead in this August 1995 game and the lead stuck, according to The Associated Press. Williams came up for the AAA Braves in the fourth inning and knocked his fourth home run of the season. That gave the team a 2-1 lead in a game the club went on to win 3-1, according to The AP. Williams made AAA for the first time that year, his sixth season as a pro. He went on to return to Richmond for all of 1996. Williams never took that final step to the majors. He played a total of 10 seasons, never making the bigs. Williams' career began in 1990, taken by the Braves in the 19th round of the draft as a 17-year-old out of Ramona High School in California. Williams started with the Braves at rookie Pulaski. The outfielder got into 58 games and hit .273. He moved to single-A Macon for 1991 and he split between Pulaski and Macon for 1992. 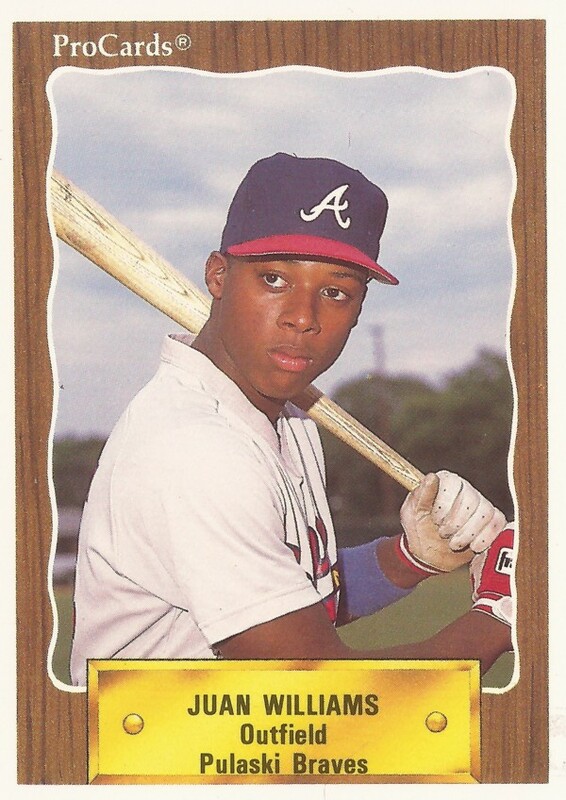 For 1993 and 1994, Williams played at high-A Durham. He hit .231 his first year there and .218 his second. But he also upped his home run total to 19 in 1994. One of those home runs came in a July win, a two-run shot. It was in 1995 that Williams first saw both AA Greenville and AAA Richmond. He hit .293 on the year, with 20 home runs. Both were career-highs. He hit two home runs in a May game for Greenville, one of them a 10th-inning game-winner. He was called up to Richmond in July. Williams returned to Richmond for all of 1996, hitting .272, with 15 home runs. Williams moved to the Red Sox system for 1997. He played that year between AA Trenton and AAA Pawtucket. He hit just .199 on the year. His final year in affiliated ball came in 1998, with the Cubs. He played between high-A Daytona and AA West Tennessee. His final pro time then came in 1999, with 18 games at independent Allentown.